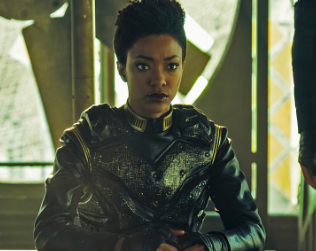 The Pop Culture Podcast by Phantastic Geek: Star Trek: Discovery -- 111 "The Wolf Inside"
Star Trek: Discovery -- 111 "The Wolf Inside"
As Burnham attempts to settle in to the Mirror Shenzhou, the unsettling truth about another bubbles to the surface. Matt and Pete inspect episode 111, "The Wolf Inside." Agents of SHIELD: 509 "Best Laid Plans"
Star Trek: Discovery -- 112 "Vaulting Ambition"
Agents of SHIELD: 508 "The Last Day"
Agents of SHIELD is taking a break. Seriously. Agents of SHIELD: 507 "Together or Not at All"
Star Trek: Discovery -- 110 "Despite Yourself"
Agents of SHIELD: 506 "Fun & Games"